Author: Ken Boa, Robert M. Bowman, Jr. Remarkably, even though millions upon millions of us do believe in God, when we are asked why we have such faith, we become tongue-tied and struggle to give a reason for our hope. No wonder those who don't believe God exists remain unconvinced—there's too few of us ready to speak on God's behalf! 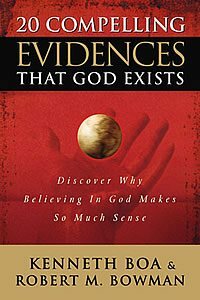 Ken Boa and Robert Bowman, have provided a resource that tackles the most profound arguments from philosophy, science, sociology, psychology, and history ... and presents twenty clear, concise, and compelling evidences that show that faith in God—and specifically Jesus Christ—is reasonable.